We hope this news alert finds you well despite the cold weather returning. At the January meeting of the Greenwich West Ward Safer Neighbourhoods Panel, fortunately no residential burglaries were reported over the Christmas period and only one burglary in the Ashburnham Triangle from October 2016 - January 2017. Although the downward trend is good news, we should still remain vigilant and not let our guard down. However there were six motor vehicle thefts (that is the theft of motor vehicles and theft from motor vehicles) during this period in the Triangle and approximately three thefts of pedal cycles. As ever if you see anything suspicious, call the police on 101 to report it. If you see a crime taking place, call 999. You can read the minutes of the October 2016 SNT panel meeting in full by clicking here. The police are holding an Exchanging Places event this Friday 10th February 16.00-18.30 at Cutty Sark Gardens. They allow people to sit in the driver’s seat of a HGV or bus to get a better understanding of what the driver can and can’t see, especially with regard to cyclists on the nearside and directly in front of the vehicle and you can also get your bike security marked for free. 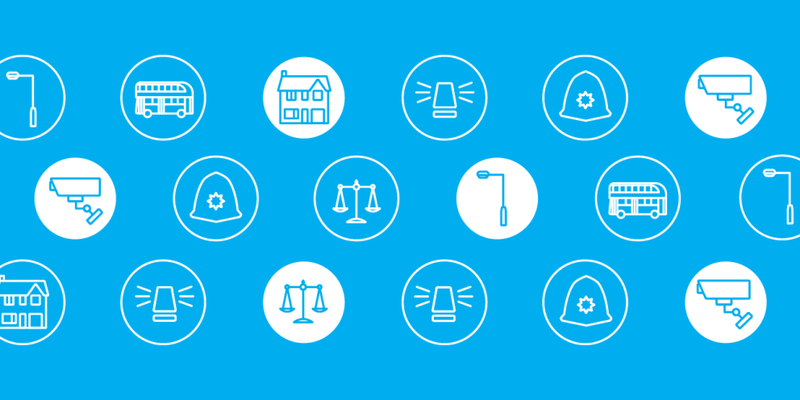 The Mayor of London has launched a Draft Police and Crime Plan and Londoners were asked to share their views on policing and crime by taking part in a survey last year. On the following link, you can read/download the plan itself and make any comments or complete a survey as part of the formal consultation process. Consultation ends on 2nd March.